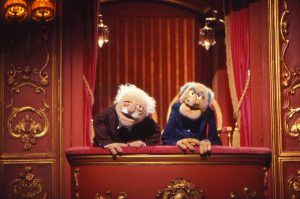 Responding to the Critics: What is the Meaning of “Shortly Come To Pass” In Revelation 1:1? We often respond to the critics of Covenant Eschatology. A friend recently asked if I had ever written anything in response to Wayne Jackson. In doing a search of our site, I realized that when we had a server crash a good while back, that we lost a ton of articles. The following article is being “re-published” for your consideration. As I find other articles that were lost in the crash. I will offer them as well. A bit ago, my friend Sam Dawson sent me an article penned by Wayne Jackson, of Stockton, California. Jackson has been an out-spoken critical of Covenant Eschatology, although he has never had the courage to engage in honorable debate on the subject. And this in spite of the fact that he has written articles in the past stating that there needs to be such discussions. Although various and multiple attempts have been made to get Jackson to debate me, he has adamantly refused. While he has never had the courage to engage in formal debate, he sometimes ventures to write an article condemning preterists as heretics, who abuse the scriptures. One such article that he wrote was on, “These things must shortly come to pass” in which he offered a failed attempt to negate the time statements of scripture. “John the Baptizer, Jesus himself, and the twelve disciples, all preached that the kingdom was ‘at hand’, literally meaning ‘is come near.’ (Matthew 3:2; 4:17; 10:7) (Compare Luke 21:30 for the meaning of ‘at hand’). Thus, they preached the nearness of the kingdom of God, and such can scarcely be harmonized with the notion that it hasn’t come!”(Wayne Jackson, Premillennialism: A System of Infidelity, (Stockton, Ca., Courier Publications). So, Jackson is clear that the statements of the imminent, at hand, establishment of the kingdom must be taken literally. To try to elasticize that language is heretical. However, due to Jackson’s failure to realize that the parousia and the establishment of the kingdom are inextricably connected (Matthew 25:31f) he then does an abrupt about face, and says that time statements of the nearness of Christ’s coming must be considered “elastic” ambiguous, and relative. Just why is it that we must take the “at hand” statements of the nearness of the kingdom as objectively true, but, we must understand that identical words in the identical tenses, when speaking of Christ’s coming cannot mean what they did in reference to the kingdom? The only justification for this is Jackson’s presuppositional amillennialism. So, on the one hand, “has drawn near” must mean imminent, but on the hand, it can’t mean near, although the identical words in the identical tenses are used to speak of both events. Needless to say, this is illogical and inconsistent. But such is Jackson’s entire eschatology. But, let me turn now to offer a few thoughts in response to Jackson’s claims in regard to “these things must shortly come to pass” in Revelation 1:1. I have cut and pasted Jackson’s entire article here, to avoid any charge of misrepresentation, and will put my responses below his comments. What Is the Meaning of “Shortly Come to Pass”? The final book of the New Testament begins in this fashion. “The revelation of Jesus Christ, which God gave him to show unto his servants, even the things which must shortly come to pass?” (1:1a). The phrase, “must shortly come to pass,” translates the Greek dei genesthai en tachei. Of special interest is the term tachei. This word, together with several cognate forms, expresses various shades of meaning. This word can carry the idea of “swift, quick.” Jesus once admonished his disciples to “agree with your adversary quickly” (Mt. 5:25). At the site of the Lord’s empty tomb, an angel instructed the women who had arrived on that Sunday morning to “go quickly, and tell his disciples” (Mt. 28:8). Preston’s Response: Note that in both instances, if a person denies the objective imminence of the texts, it destroys the meaning of language itself. In Matthew 5:25, did Jesus mean that you can take as long as you like to agree with your adversary, but, when you finally get around to that reconciliation, you must shake hands rapidly, and get it over in a split second? In Matthew 28:8, when Jesus told the women to “go quickly” and tell the disciples of his resurrection, did he mean that the women should not be concerned about when they left to go tell the others, but, when they finally did decide to depart, that they should run as rapidly as they could? Is Jackson suggesting that the when of these situations was irrelevant, but, that the rapidity of action is paramount? Such a claim would be specious at the very best. Tacheion reflects the comparative degree of the previous term. The word is rendered “outran” (Jn. 20:4), to depict the fact that John arrived at the empty tomb “more quickly” than did the slower Peter. Preston’s Response: True, but, tacheion is not used in Revelation 1:1, thus, this cognate is irrelevant to the discussion. This is nothing but a smoke-screen by Jackson to detract from the context of Revelation. The kindred form tacheos is manifest in several translation forms. (1) When a certain ruler prepared a great feast, he invited many to attend, but they rejected his gracious invitation. He then dispatched a servant to go “quickly” and invite the less well-to-do (Lk. 14:21; cf. 16:6). (2) When Paul wrote the letter commonly called First Corinthians, he promised those saints that if it was the Lord’s will, he would come and visit them “shortly” (4:19). (3) With reference to guiding men into the work of serving as elders, Paul cautioned Timothy to “lay hands suddenly [KJV; ‘hastily’ – ASV] upon no man” (1 Tim. 5:22). Investigation and deliberation were to be preliminary stages. Luke 14:21– When the master told his servants to go out quickly and invite others to the feast, is Jackson arguing that what the master meant was that the servants could take as long as they wanted before going out with the invitation, but, when they finally got around to leaving– perhaps weeks, months, years, or who knows, two millennia!– that they were to ride the fastest donkeys or camels they could find? Luke 16:6– Likewise, when the unfaithful steward, seeking to provide security for himself, he told the creditors to “sit down quickly” and re-write their debt. Are we to believe that what he meant is, “One of these years, when you want to and can find the time, sit down and re-write the debt? But, make sure that when you do finally sit down, I want you to make sure that you write as rapidly as your hands can move!”? 1 Corinthians 4:19– Paul told the Corinthians that it was his hope and possibility that he would come to them shortly. Now, per Jackson’s misguided claims that shortly does not indicate imminence but rapidity, this would mean that Paul was saying that it might be a long time before he left for Corinth, but, he would take the fastest chariot / ship / camel, etc. that he could find, and would travel at break-neck speed on the trip! 1 Timothy 5:22– When Paul told Timothy to not lay hands “suddenly” on no man, to appoint them as elders, did Paul mean to convey the idea that Timothy was to be cautious before he laid hands on them, or, was he simply telling him to be cautious when he did lay hands on them that he was not too aggressive with his hand laying? It is patently obvious that in not one of the cases cited was the rapidity of action paramount over, to the exclusion of the time of occurrence. To suggest otherwise borders on the ridiculous. The combined terms, en tachei, carried the idea of “in [or with] speed.” When an angel appeared to Peter in a Jerusalem jail cell, he urged the apostle to “rise up quickly” in preparation for deliverance (Acts 12:7). Preston’s Response: Peter, bound in chains, in a filthy, stinking, rat and flea infested Roman dungeon, was told, when the angel loosed his chains, that he was to “arise up quickly” and leave. Okay, so, according to Jackson’s “logic” we are supposed to believe that what the angel actually meant was that Peter was free to sit there and not worry about when he got up, not worry about when he left. However, if and when the spirit moved him to finally leave, he was to run with sprinter’s speed! Can this kind of argumentation be taken seriously? It is surely illogical to the extreme, but it manifests Jackson’s desperation. Jackson– (2) Jesus promised his persecuted disciples that their enemies would be dealt with “speedily” (Lk. 18:8). Preston’s Response: Jesus did indeed promise his disciples that the Lord would avenge their suffering “speedily” in Luke 18:8. Now, to Jackson, this means that one of these days still yet future, as he affirms in his commentary on Revelation, God will finally get around to avenging the blood of the martyrs. And when he finally comes in that vindication, Jesus will ride the fastest cloud in heaven! Facetious? Well, this is precisely what Jackson is affirming! Per Jackson, Jesus did not promise his contemporary, suffering disciples that they would be vindicated and relieved from their persecution, in their lifetime. No, that cannot be, Jackson affirms, because the vindication of the martyrs takes place at the coming of the Lord, and we all know, don’t we, that the Lord did not come in AD 70! Jackson’s presuppositional, ad hominem theology forces him to redefine words. This is not the way to interpret scripture. Now, to what does Jackson ascribe this prediction? To the Lord’s coming in AD 70! By the way, Jackson is adamant that “this generation” must be taken in a literal manner to refer to Jesus’ generation. But, why can’t that time statement be elastic and subjective as some claim, when they say that it is not even a time statement, but refers to a “kind of people”? Jackson would insist that this is ungrammatical, and is simply an attempt to escape the meaning and application of Jesus’ prediction to his generation. True indeed, but that is precisely what Jackson is doing with en tachei. Paul agreed that the martyrs would be avenged in short order. See 1 Thessalonians 2:14-16—> 2 Thessalonians 1. See my In Flaming Fire, for an in-depth exegesis of 2 Thessalonians 1. Paul was simply reiterating Jesus’ promise from Matthew 23. So, we have Jesus’ explicit prediction that all of the blood, of all the martyrs– including his own apostles (Matthew 23:34/ Luke 11:49) would be avenged in his generation. Jackson acknowledges that this was in AD 70. Yet, when he comes to Luke 18:8, he seeks to divorce Jesus’ promise there, from his prediction in Matthew 23! Why? It is not because of exegetical necessity. It is because of presupposition, theological necessity. Jackson– (3) Paul prophesied that God would crush Satan under the saints’ feet “shortly” (Rom. 16:20). This is the very expression employed in Revelation 1:1. Aside from the etymological sense of a term, however, every serious Bible student knows that words can take on special meanings, depending upon the nature of the immediate context, or depending upon the type of literature in which they are found. “And do this, knowing the time, that now it is high time to awake out of sleep; for now our salvation is nearer than when we first believed. The night is far spent, the day is at hand. Therefore let us cast off the works of darkness, and let us put on the armor of light” (Romans 13:11-12). Notice Paul’s emphatic statement that the day was near, “at hand” (literally, has drawn near) dispels Jackson’s desperation. Note that Paul, just like James, uses the identical Greek word and construction here to speak of the approaching day of salvation, that John and Jesus use in Matthew 3:2/ 4:17! So, once again, we are confronted with Jackson’s inconsistency, his desperation, to avoid the natural meaning of the words. 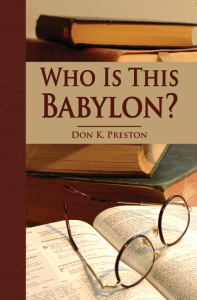 Note: For an in-depth analysis of en tachei, see my book Who Is This Babylon? (Available at www.eschatology.org, or, www.bibleprophecy.com). Jackson– For example, in contexts dealing with prophecy, the time factor becomes quite elastic. This is a most elementary principle of Bible interpretation. Some prophecies are framed in language which makes it appear as if the events were accomplished already. This is done in order to emphasize the certainty of God’s plan (cf. Isa. 9:6). Preston’s Response: Jackson makes some profoundly presumptive statements here. He affirms that when it comes to prophecy, time words just kind of naturally become “quite elastic.” Who said this? It certainly was not God, or the Biblical writers! In fact, in my Can God Tell Time, I give several examples in which God gave a time statement, men denied it, or tried, like Jackson, to mitigate the language, and the Lord condemned them! God demanded that men honor His time statements! But how could man honor his time statements if time statements don’t mean anything? Jesus himself said that his father knew the day and the hour of his coming (Matthew 24:36). Paul said that God had “appointed a day” for the judgment, did he not (Acts 17:30-31)? If the God of heaven created the human calendar, and wants to communicate with man who is subject to that calendar, are we to believe that God does not conform His speech to an understandable level, in conformity to that calendar? And for Jackson to say that time words become elastic in prophetic literature is “a most elementary principle in Bible interpretation” is a blatant misrepresentation of the hermeneutical literature. Such a principle is only present among those who, like Jackson, allow their presuppositional, literalistic hermeneutic to force them to deny the meaning of language. I must say, with respect, that Wayne Jackson makes our efforts of Responding to the Critics an easy task indeed! Interestingly, some time ago (1990) Jackson wrote an article in which he addressed the claim of a preacher who asserted that men cannot understand the Bible alike. In answering that claim he makes some very important, but self destructive claims. “The problem with those who contend that men cannot agree upon the scripture’s teaching is simply this: they are seeking a way to justify error!” (all emphasis his). We can only add a hearty, Amen! Jackson needs to answer the question: If men are supposed to be able to understand the Biblical language, in what society does near not mean near? In what normal language does “at hand” take on the natural meaning of 2000 years? If man is supposed to be able to understand the Bible, then most assuredly man is not to approach the Bible with the idea that language is so elastic as to be without possibility of understanding! Although he insisted in that article that men can understand the Bible, he now affirms that the Bible’s prophetic time statements are so “elastic,” ambiguous, relative and subjective that they essentially mean nothing temporally at all! In truth, says Jackson, time statements convey the idea of certainty, and not temporality. To speak candidly, this is theological nonsense. See my Can God Tell Time? for more of a discussion of Jackson’s claim that “at hand,” “quickly” and “shortly” actually convey the idea of certainty and not imminence. This is a fatally flawed, illogical argument that quickly (pun intended) backfires on Jackson. The reader needs to know that the one and only reason that Jackson seeks to mitigate the time statements of imminence in the NT is because he refuses to allow for a metaphoric definition of the Day of the Lord. He insists that we must take the language of Christ’s coming in a rigidly literalistic manner. Since the Lord did not literally, visibly, physically, bodily come out of heaven in AD 70, then Jackson sets out to destroy an entire vocabulary of Greek words that he even admits give the impression of the first century nearness of that return. Just like the Dispensationalist has a preconceived idea of the nature of the kingdom– which Jackson claims is false because of the spiritual nature of the kingdom– Jackson adopts the identical hermeneutical approach, and rejects the parousia. Jackson– What, then, is the significance of the term “shortly” in Revelation 1:1. To a considerable extent, this depends upon the view that one entertains relative to the thrust of the book as a whole. Preston’s Response: Here, folks, is the key to Jackson’s rejection of the natural meaning of the word family of taxu! Jackson says (admits!) that a person’s understanding of taxu or en tachei, will depend on the presuppositions that they bring to Revelation! This is a fatal admission of a flawed hermeneutic! Jackson’s approach means that instead of allowing the wording of the inspired text to determine our understanding of the Apocalypse, we must bring the meaning of taxu and en tachei into alignment with “the view that one entertains relative to the thrust of the book as a whole.” This is much like the old college joke that says: “Make sure your evidence matches your conclusion!” Jackson’s statement is an admission that he is practicing eisegesis, and not exegesis. Instead of allowing the language to determine our view of the Apocalypse, Jackson tells us that our view of Revelation determines how we define the time words! This statement reveals that Jackson is not driven by text, but by a desire and willingness to bring text into line with his theology. But, theology springs from text. Text is not to be manipulated by theology. Jackson– A few misguided souls subscribe to the dogma of radical preterism. This is the notion that all Bible prophecy – including the Second Coming of Christ, the resurrection of the dead, the end of the world, etc. – was fulfilled by the time Jerusalem was destroyed in A.D. 70. Accordingly, these folks assign a rigid meaning to “shortly.” They insist that “shortly” must be taken quite literally, thus, the prophetic events would be completed within a very few years. Elsewhere we have shown the fallacy of this system of interpretation. See: “The Menace of Radical Preterism”, in our “Feature” section. Preston’s Response: Jackson’s derisive and pejorative reference to “radical preterism” demonstrates that Jackson is interested only in poisoning the well of the minds of his readers, and not a serious investigation of the issues. By labeling those who honestly espouse Covenant Eschatology as “radical” he thereby labels them as unworthy of consideration. This is unbecoming and unscholarly. Notice that Jackson says that there are a “few” of us radicals around. Clearly, Jackson is out of the loop of what is going on in the world! While preterism is not the major eschatological paradigm, it is admitted by virtually everyone who is half-way aware of the current scene, to be growing. So much so that scholars of all affiliations have felt the need to address it by the publication of major books. If the numbers of scholars was a few as Jackson intimates, why would he even bother writing so many articles, and a book, to refute it? Why bother? The answer is that Covenant Eschatology is growing and Jackson knows it, full well. But, did you notice that Jackson admits that all preterists are doing when it comes to the time words is taking them literally? This is a fatal admission! Jackson is admitting that the natural meaning of the temporal statements indicate the nearness of the occurrence of the predicted events. This means that the burden of proof lies squarely on Jackson to prove that the words cannot be interpreted literally. The burden of proof is not on the preterist camp! As demonstrated in this article, Jackson has failed to give a single syllable of evidential proof to negate the natural meaning of the time words. Jackson– A few scholars have subscribed to a moderately preterist view of the book of Revelation. These writers are not to be confused with the radicals described above. The moderates argue that the Apocalypse was written prior to A.D. 70, and that the bulk of the book has to do with Jewish and Roman persecution against the church. Even some of these men, however, do not contend that every event within the book of Revelation was fulfilled in the immediate future. “. . . the closing part of the Revelation relates beyond all doubt to a distant period, and some of it to a future eternity” (A Commentary on the Apocalypse, Andover: Allen, Morrill & Wardwell, 1845, II, p. 5). Preston’s Response: Notice again Jackson’s emphasis on “a few scholars.” This is an implicit appeal to majority rule! Only a few take the imminence factor, the majority don’t, Jackson argues. But of course, Jackson would not allow the validity of that argument when one points out that the majority view of eschatology in America is Dispensationalism! Jackson would aver that truth is not determined by the number of scholars. It is determined by the scripture! But the reader will notice that Jackson did not exegete a single passage in his article. He made some claims and did not do any analysis at all. Moses Stuart was clearly inconsistent, as is Jackson. However, Stuart clearly emphasized the imminence of the language of Revelation. On Revelation 1:1, contra Jackson, Stuart took note of some who, like Jackson, argued that en tachei means “certainty.” Stuart categorically rejected that view as untenable and unscriptural. Furthermore, he unequivocally affirmed that en tachei demanded a pre-AD 70 date for Revelation. Stuart, contra Jackson, says that the amount of prophecy in Revelation that was not fulfilled soon, quickly and shortly, is so small, that it was appropriate for John to use the language of imminence. In other words, Stuart was affirming the imminent element of en tachei. However, he argued that there was some material in the book that was an exception to the at hand aspect. Stuart was not, as Jackson claims, claiming that en tachei did not mean imminent, or that it allowed for extended periods of time. So, while Jackson seeks to use Stuart, it is clear that Stuart rejected Jackson’s claims regarding en tachei! (See Moses Stuart, A Commentary on the Apocalypse, Vol. II (Wipf and Stock, Eugene, Or. 1845/ 2001)4f). Isn’t it interesting that Jackson totally ignored Stuart’s rejection of his argument on en tachei, and selectively appealed to Stuart’s (inconsistent) argument? Jackson has badly mis-represented Stuart. One wonders if the misrepresentation was purposeful or unintentional. Jackson– Scholars who are not of the preterist persuasion view the expression “shortly come to pass” in various other ways. (1) The phrase may mean that the events which were to be revealed in this divine document were to commence shortly, while there would then be a historical progression spanning many centuries, being consummated by the Lord’s Second Coming (cf. Albert Barnes, Barnes’ Notes — Revelation, Grand Rapids: Baker, 1954, p. 35; R.C.H. Lenski, St. John’s Revelation, Minneapolis: Augsburg, 1963, p. 660). (3) Robert Mounce contended that the phrase likely means that, from the prophetic vantage point, “the end is always eminent. Time as a chronological sequence is of secondary concern in prophecy. This perspective is common to the entire NT. Jesus taught that God would vindicate his elect without delay (Luke 18:8), and Paul wrote to the Romans that God would ‘soon’ crush Satan under their feet (Rom. 16:20)” (The Book of Revelation — New International Commentary Series, Grand Rapids: Eerdmans, 1998, p. 41). It is quite clear, therefore, that there are responsible ways of explaining the term “shortly,” that do not resort to the bizarre theories characteristic of radical preterism. First, it needs to be noted that Jackson differs radically from the eschatology of some of the very authors that he quotes. Second, the scholars cited by Jackson are not citing the linguistic authorities, but are seeking to explain away the normal meaning of time words! Each of the scholars has the same futuristic (albeit differing paradigm) view of eschatology. They all know, undeniably, that if the time words are granted their normal, everyday meaning, (as Jackson has admitted) then their futurist eschatologies are destroyed! It is that simple and that undeniable. Third, one has the right to ask, if the Lord wanted to express the true imminence of the end, what other words would He have been forced to use in order to express it? Jackson knows, very well, that the words utilized by the Spirit are the best words to communicate objective imminence! Fourth, consider this: In order to maintain his futurist eschatology, Jackson, and the scholars he cites, must mitigate an entire vocabulary of Greek words. Words that naturally convey time and nearness, are, based solely on preconceived ideas, distorted and totally redefined with definitions not to be found in any lexicon! Notice that Jackson did not produce any lexical support for his claim that en tachei means “certainty.” Jackson cannot do it, and he knows he cannot do it. Yet, he tries to bully his readers into believing that en tachei and cognates do not indicate time at all, but certainty. Did you notice a single citation of a lexicon to support his claim? No, and you will not, for he can’t give one. Fifth, where is Jackson’s translational support for “rapidly” as opposed to soon? Answer: It is non-existent among all of the major translations! As I wrote this article, I went to the BibleGateway website. I checked 22 translations. Not one of them rendered Revelation 1:1 as “these things must rapidly take place.” Not one even hinted at such a translation. In fact, the majority rendered it “things which must soon take place.” One translation rendered it “soon and quickly,” but, even that emphasizes the imminence of occurrence, and is destructive to Jackson’s claims. Sixth, notice this self contradiction. Jackson and those like him are eager to deny the temporal element in the “at hand,” “quickly” and “shortly” words and terms. Yet, when they come to Matthew 25 which speaks of the “delay” of the return of the Master, Jackson and his fellows demand that “long delay” must be taken temporally, and, they insist that it must be understood to refer to a 2000 year delay! To say the least, this is inconsistent. So, in Jackson’s confused and confusing paradigm, words of imminence cannot mean nearness in time. However, words of delay must be taken to refer to a two millennia delay! Exactly how one can justify such flagrant and blatant self contradiction and inconsistency, we are at a loss to know. Seventh, remember that while Jackson cites Mounce, who says that “at hand” simply means that the end is always near, Jackson will not accept that definition for even one moment, if applied to the establishment of the kingdom, although the identical words cognates are used! Again, this is inconsistency personified. One final thought on Revelation 1:1. Jackson likes to appeal to Matthew 24:36 to mitigate the time statements in James, Peter, Hebrews, Revelation, etc.. He says that because Jesus did not know the time of his coming, that the disciples could not know, and express the time in the epistles. Jackson overlooks, or ignores, some important information. Jesus said it was necessary for him to ascend to the Father, so that the Father could send the Spirit to the apostles. When the apostles received the Spirit, He would reveal “things to come” to them (John 16:12-13). So, the Father would send the Spirit to the apostles to reveal things to come to them. All of the epistles, and Revelation, were written after the sending of the Spirit to the apostles, by the Father. So, Revelation is the revelation— from the Father who knew the day and the hour of the appointed day– to John, concerning the time of fulfillment! Reader, Jackson must deny that the Father was revealing the truth, when the Father revealed that the time was at hand! Jackson must prove that the Father was speaking so unambiguously, so elastically, that the words of warning found in the book, all based on the imminence of the parousia, mean nothing whatsoever! Jackson’s attempt to nullify the time statements of Revelation 1:1 is futile. Jackson’s arguments are illogical and self contradictory. Jackson is adamant, when arguing with dispensationalists, that the language of imminence is not elastic, it is not ambiguous, it is not relative. He offers no lexical proof for his arguments, because he cannot do so. He offered no translation support for his argument, because translational support is virtually non-existent. He has admitted that the natural, literal meaning of the words indicates objective imminence. He seriously misrepresented Moses Stuart’s position on en tachei. He appealed to scholars who agree with him only because those scholars, like Jackson, have a pre-conceived eschatology that is not based on solid exegesis. Since their preconceived concept of the parousia was not fulfilled literally, as they demand, they seek to destroy an entire vocabulary of Greek words. Jackson’s article is specious and indefensible.As we continue in our Responding to the Critics efforts, the truth of Covenant Eschatology becomes clearer and clearer!